In a society that has become increasingly dependent on medications and doctors to stay healthy, it is even more critical to find ways to fight illness naturally. Morning sickness, or all-day sickness, has become the plight of pregnant women everywhere. Finding ways to naturally ease this unpleasant side effect of growing a human can be cost-effective and beneficial to you and your unborn baby. So before resorting to a prescription from the doctor, try a few of these nausea-easing foods and actions. These two powerful stomach settlers have been used for decades. Both peppermint and ginger can be consumed to settle the most discontent stomachs. You can opt for conventional peppermint tea and ginger ale, but for relief on-the-go, try a potent ginger or peppermint hard candy. Before starting any supplements while pregnant, be sure to consult your doctor. If he finds you are low in any essential minerals or nutrients, proceed with supplements. Magnesium is often very beneficial at easing morning sickness, but must be taken regularly and used as a preventative measure. Now before you start saying “ew,” listen to the facts. Bone broth is an essential beverage that has been used in many cultures to treat a variety of health conditions. By simply slow-cooking raw bones you can leach the benefits of bone broth’s gelatin, collagen, protein, phosphorous, magnesium and calcium. Nausea can often be a reaction to tension in your neck and back muscles. Perform careful stretches to ease the neck and back and you will feel more comfortable overall. Good muscle relief for the back involves backbends or upper body push-ups. By consuming raw milk, you can help boost your body’s calcium which can keep you healthier and less nauseous during pregnancy. Some pregnant women find themselves lactose intolerant during pregnancy; occasionally, switching to raw milk can help your body better tolerate dairy. Raw milk is also a great source of countless vitamins and minerals, including the nausea-fighting vitamin B6. Again, for any supplements, consult your doctor before adding them to your diet. 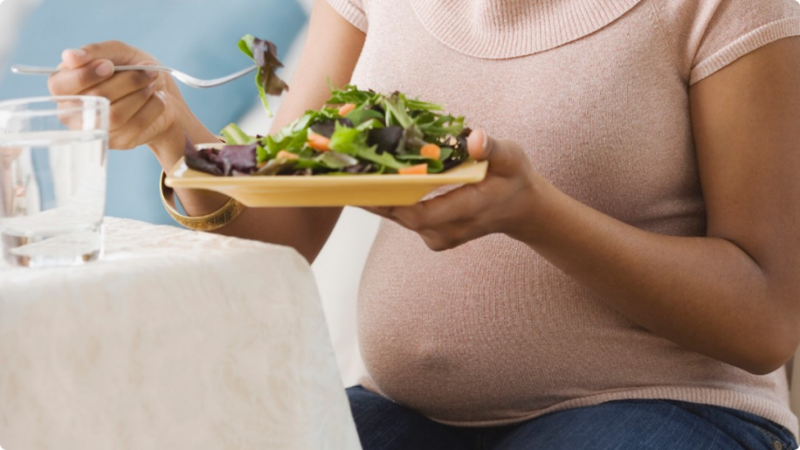 Vitamin B12 and B6 have been proven to reduce nausea during pregnancy and cause healthy fetal development. Fortunately, there are many foods you can get these vital nutrients from. Consuming proteins such as chicken, beef, pork, salmon, shrimp, or turkey can be a good source of these vitamins. If you want to stick to plant-based origins, try broccoli, green peas, spinach, peanuts or hazelnuts. By applying pressure to certain areas of the body you can effectively ease many aches and pains as well as the ill-effects of nausea. Learn how to apply pressure to your wrist and you can successfully ease nausea naturally.